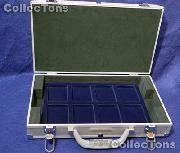 Lighthouse aluminum cases for trays feature a heavily padded inner lid to protect against damage and slippage, molded comfort handle, locking mechanism with two keys, rubberized feet and nickel plated corners. 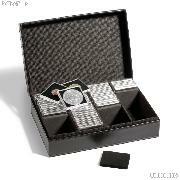 Coin trays are not included, but are offered in separate listings. Case Size (LxWxH) Capacity Locking? 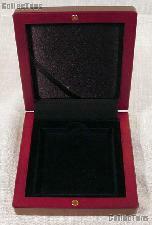 Lighthouse velvet coin trays are made of hard plastic lined with matching red or dark blue velvet. 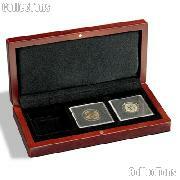 They are ideal for presentation of your coins in holders, slabs, or placed directly into the tray spaces. 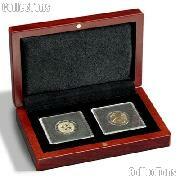 These trays can be used by themselves or in combination with Lighthouse Aluminum Coin Cases described above. 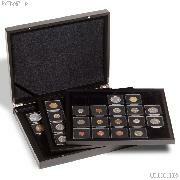 Each tray has 77 spaces that fit coin holders 3/4" (22 mm) square or coins with a diameter up to 3/4" (22mm). Recommended for dimes, pennies and nickels. 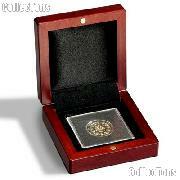 Each tray has 40 spaces that fit coin holders 1-1/3" (33 mm) square or coins with a diameter up to 1-1/3 (33mm). 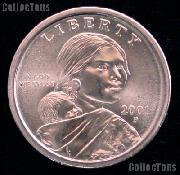 Recommended for half dollars, small dollars or quarters. 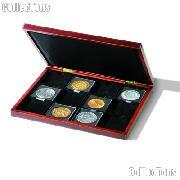 Each tray has 24 spaces that fit coin holders up to 1-3/4" (45 mm) square or coins with a diameter up to 1-3/4" (45mm). 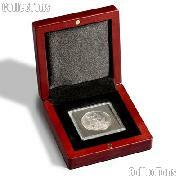 Recommended for Silver Eagles and smaller coins. 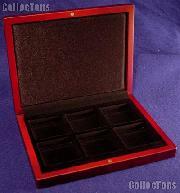 Each tray has 15 spaces that fit coin holders 2" x 2" (50 x 50 mm). 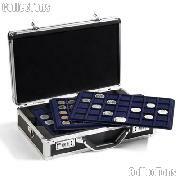 Each tray has 8 spaces that fit U.S. slab coins, larger collectibles such as pocket-watches, jewelry, medallions, or any item up to 2-1/2" x 3-3/8" (64 x 86 mm).